Suzanna Blasevic dress that I absolutely fell in-love with! Starting with hand beaded lace through the entire top of the dress which bleeds out into skirt. 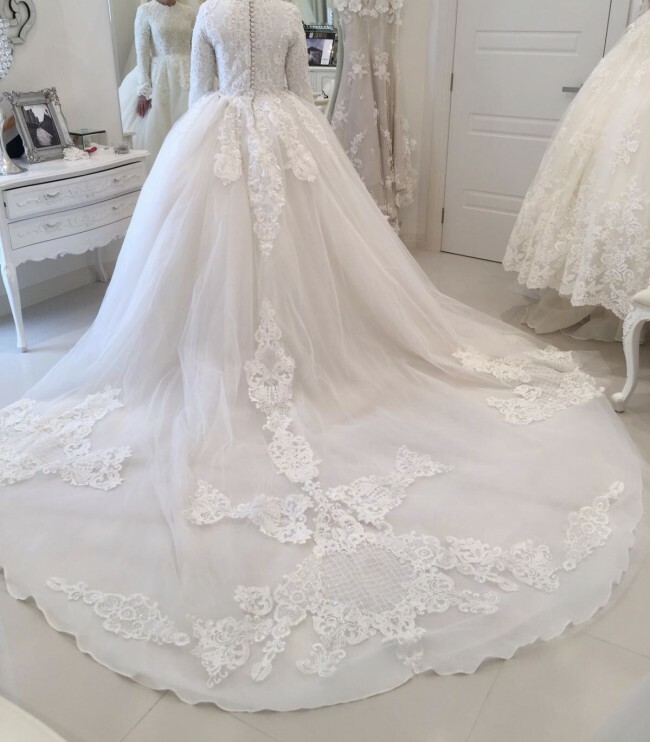 The skirt also has lace and embroidery features through the train, and on the hem at the front of the dress. The train is approximately 2 metres in length. The sleeves may also be altered to give the dress a sheer sleeve effect. Also comes with a cathedral veil with light features of lace and crystals. Price is negotiable. All enquires welcome!